Saving time in front of the mirror and effortlessly maintaining a flawless appearance all day long is finally possible! By injecting BIOTIC Phocea’s extremely pure coloured pigments into your skin, it’s easy to intensify your gaze, enhance your smile or hide imperfections with only a few permanent makeup sessions. The leader in this technique, which is similar to tattooing, BIOTIC Phocea offers vibrant, well-designed colours for all face and skin types. These sterile products respect the passage of time and naturally fade over the course of a few years (normally 3 years for the lips and 5 years for brows and eyeliner). Applied using ultra-thin sterile needles that don’t penetrate the deep dermis, permanent makeup is a “surface” tattoo, where the pigments injected show through the epidermis. As each patient has a different skin colour, it is impossible to guarantee the exact colour of the final result. In addition, depending on the area treated, the colour will be deposited at varying depths, which influences its appearance over time. Nevertheless, it is important to note that while the colour strength of the pigments fades over time, the pigment particles remain for many years after the colour has fully faded. For this reason, it is necessary to use tattooing products that have been formulated to reduce the risk of allergy. This is why BIOTIC Phocea’s pigments are the reference for safe, successful permanent makeup. There are many other criteria that influence the pigments’ longevity in skin (such as pH or the grain size of the powder). All of these criteria are taken into account by Laboratoires BIOTIC Phocea in formulating their pigments, which are all manufactured under medical supervision. 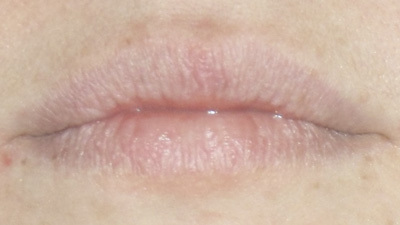 Applied using a natural technique, permanent makeup enhances the client’s facial features and makes her daily life easier. However, this solution is not permanent, as the pigments do not all act the same over time. Pigments of organic origin fade more quickly than mineral pigments. In addition, the natural exfoliation of the epidermis will slowly hide the colour behind new layers of skin. Finally, depending on your clients’ lifestyle, more frequent sun exposure also accelerates colour fading. While this long-lasting technique does not last forever, permanent makeup (or micropigmentation) offers spectacular results thanks to the wide range of BIOTIC Phocea pigments.